Love What You Do and Share What You Love with Stampin' UP! There has never been a better time to join Stampin' UP! SALE-A-BRATION means a 15% discount on the kit and Stampin' UP! has added a bundle of goodies worth $60! Need MORE incentive? Join my team and I'll give you $50 worth of embellishments including the Adornments, Rosettes and both sets of buttons in the Occasions Mini which you can see by clicking the link on the right sidebar. Still looking for a BETTER deal? 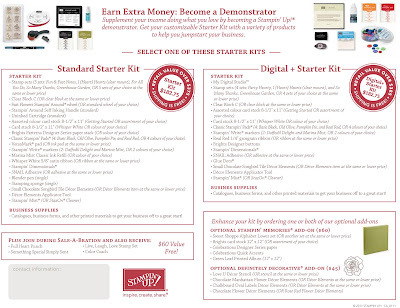 If you're just joining for the discount and would like the benefits of being a Stampin' UP! demonstrator but don't want to sell, I'll buy the business supplies back from you for $40 in product of YOUR choice. Click here to join now and get immediate access! You've got to hurry!!! This offer is incredibly time sensitive and will expire at 10 p.m. EST on February 28th, 2011. I can't WAIT for you to join my team! If you liked BLISS, you're going to LOVE Sweet Summer! Check out Stampin' UP! 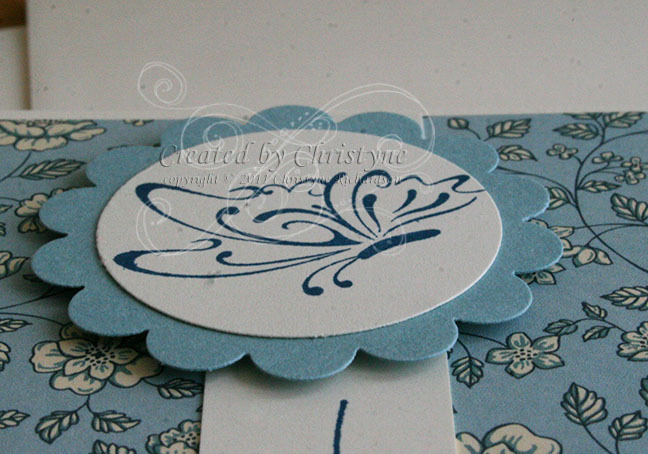 's own Carrie Cudney as she shows us step by step instructions to create the Sweet Summer note card featured on page 8 of the SALE-A-BRATION brochure. Don't have your OWN brochure? Contact me TODAY and I'll get one out to you! But hurry!!! There's only a few more weeks left to SALE-A-BRATE! Don't be stressed - DISTRESS! So, you had a rough day...your boss was annoying you all day long, you got home from work and the kids hadn't completed their homework and hadn't done any chores. You get them fed, bathed and off to bed and now it's FINALLY your turn! But you're still so STRESSED you don't know WHERE to start. Well...don't get stressed, DISTRESS!!! Now, of course, you need to be careful. We're dealing with sharp objects here...wouldn't want to cut yourself while you're trying to shred the edges of that paper with scissors. 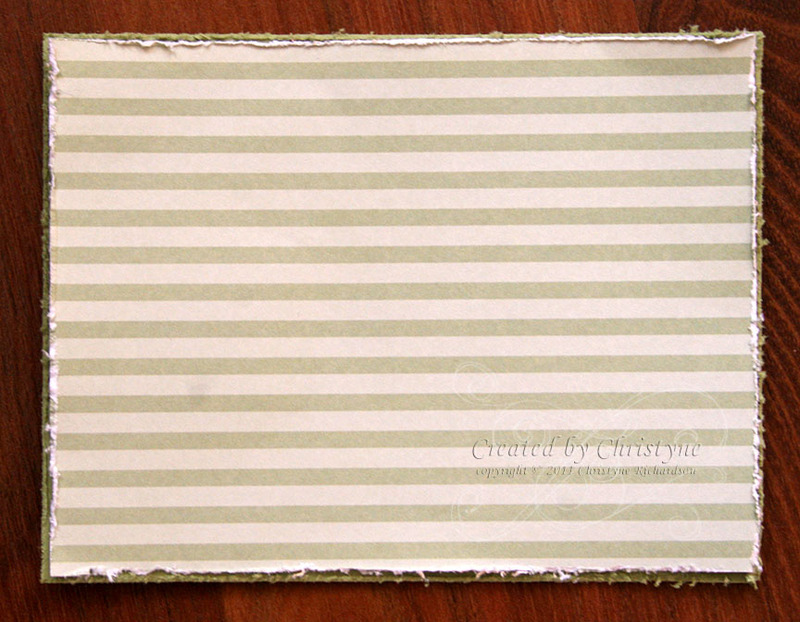 For my card base, I've chosen a piece of Not Quite Navy Cardstock cut to 5 1/2" x 8 1/2" and folded at 4 1/4". As a rule, I don't distress my card base...but that's just me. If you want to distress your card base, go to town! After all...it's YOUR card! And really, it's just a little extra therapy - who doesn't need that? Next, you're going to want to choose your background Designer Series Paper, if you're using any. 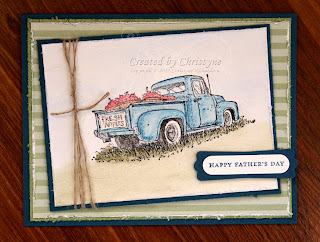 For this card, I'm going to use a piece of Springtime Vintage Designer Series Paper. True, a lot of this paper tends to lean towards the "girlie" side, but a couple of the designs are neutral enough to use on a card for your man. And that's what I'm making today. Cut it to the size you like (in this case, I used a piece that is 3 7/8" x 5 1/8" and matted it on a piece of Pear Pizzazz cut to 4" x 5 1/4") and then take your scissors or cutter kit to the edges. Rough it up as much as you like. 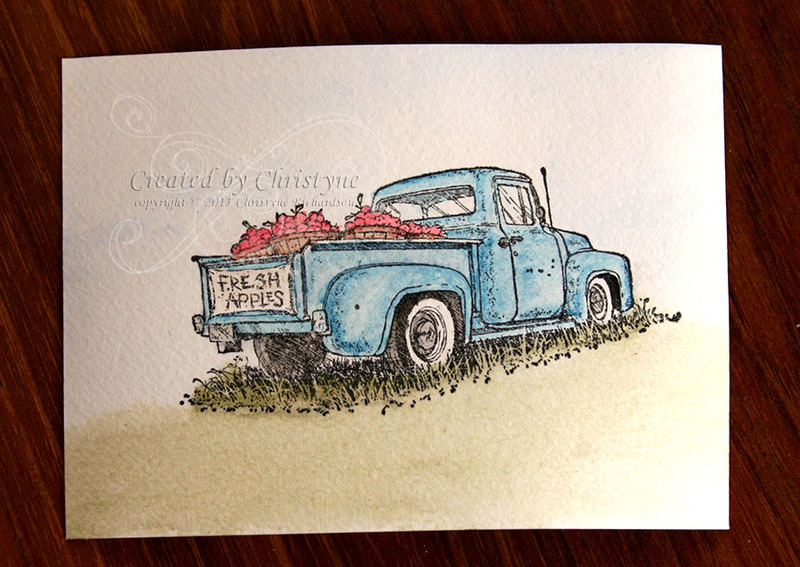 Next, choose your stamp set - I chose "Countryside" because I'm in a watercolouring kind of mood. PLEASE don't be intimidated by watercolouring! Most of the Stampin' UP! stamps that are "designed" for watercolouring have the shadows added to the stamp. So, just add more colour to the shadows and VOILA! MASTERPIECE! 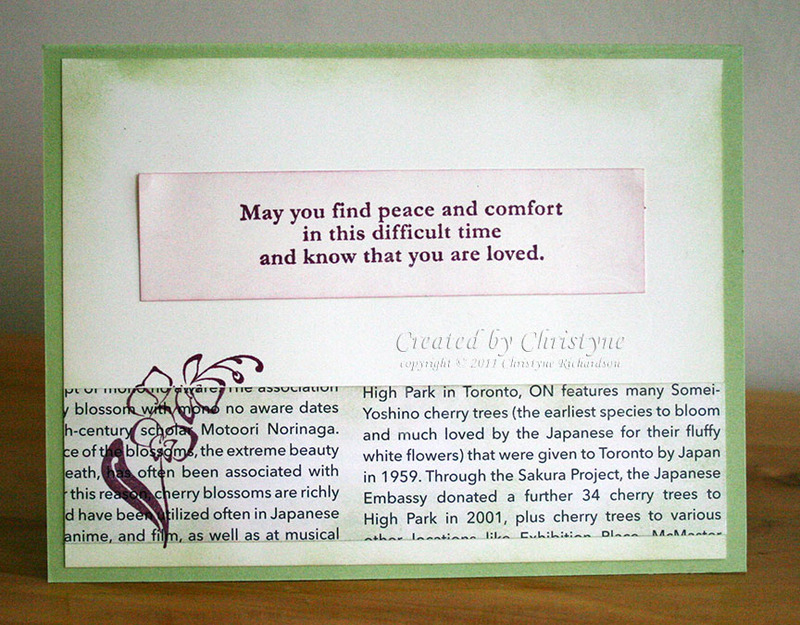 As a side note, our watercolour paper is sized to fit as the second layer up from your card base. Because I've already got two layers that are fairly close in size, I've trimmed it down just a bit. My watercolour paper is 3 1/4" x 4 3/4". I started off by stamping the image using STAZ-ON ink. This is a GREAT ink for watercolouring images as it won't run if it gets soaked! I then coloured the truck using Baja Breeze and Not Quite Navy. 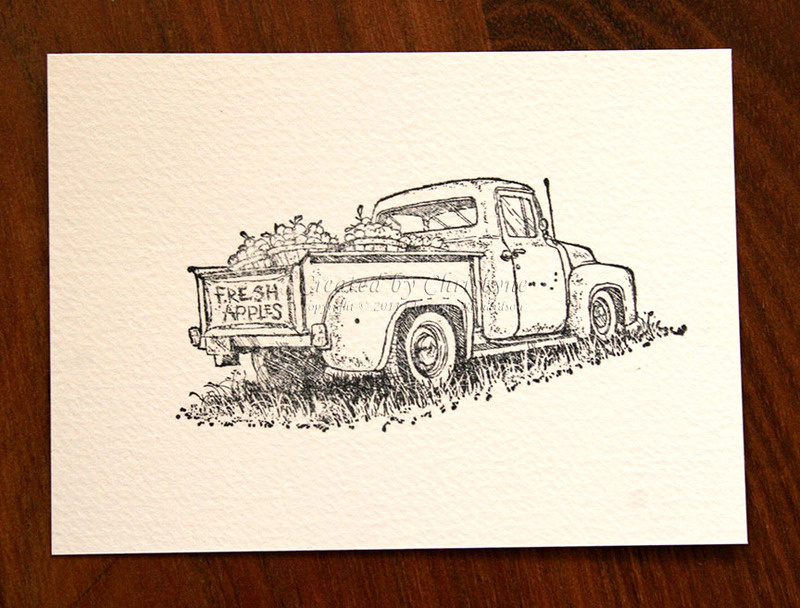 After the truck was coloured, I coloured in the apples. I used Real Red and a LOT of water because I wanted an "antique" sort of look. 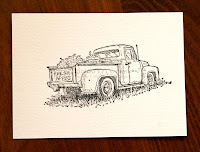 Once I had the truck and apples coloured, I started in on the grass and sky. This required a LOT of water and warped my paper. BUT! Not to worry! Once it's dry and I mat in on a piece of Not Quite Navy, it'll lie nice and flat. There are many options for watercolouring your images. My favourite is to use an aqua painter and wet the tip of one of the watercolouring crayons and colour in my image. You can also use the ink from your ink pads. DON'T put your aqua painter directly onto your ink pad as this dilutes the colour. Here's what to do: Before opening your ink pad, gently squeeze it. What this will do is transfer some of the ink from the pad onto the lid. THIS is the ink you will use to colour your image. This is especially helpful if you don't have the watercolour crayon in the colour of your choice - for example, the "In Colours" are not available as a watercolour crayon. For a deeper, more intense colour, use a few drops of re-inker. 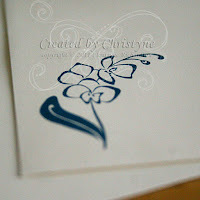 Put these into the lid of the matching colour ink pad and use the re-inker to colour your image. The result will be a much deeper colour. If you need to cover a big area of your design, you can also colour using the watercolour crayon directly onto your paper. Then, use your aqua painter to spread it around. Caution: this will require a LOT of water to spread around, otherwise, you'll end up with lines from the crayon on your paper. MDS Monday - SALE-A-BRATION style! Can you believe it? FREE!!!! Yes, it's true, you can receive this whole CD for FREE when you place an order of $60 or more during SALE-A-BRATION. What are you waiting for? Place your order today by using the ORDER NOW button at the top left of my blog. Have you placed your February order yet? It's my Thank You Card for this month! That's right! Everyone placing an order with me in February will receive one of these FABULOUS cards. Special thanks to Angie Kennedy Judy of Chic 'n' Scratch for the inspiration. And, thanks to my AWESOME upline Caroline LeBel, here you have NO NAKED ENVELOPES! My favourite part of the WHOLE card (other than the fact that YOU will receive one if you place an order with me this month), is the butterfly that I added. 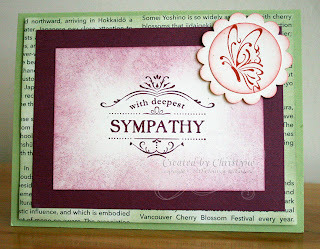 It's popped up on one of my all time FAVOURITE accessories: Stampin' Dimensionals! Don't miss out on receiving one of these FABULOUS cards! Click on the shop now button at the top left of my blog and you'll be taken right to my Business Website where you can shop to your heart's content! The best part? It's SALE-A-BRATION BABY!!! That means with every $65 order, you get FREE stuff - yes FREE!!!! I can't WAIT for you to get one of these FABULOUS cards! If not, what your waiting for? Here's a super cute video with super cute Shannon West demonstrating my FAVOURITE set from this year's SALE-A-BRATION: BLISS!!! Come back tomorrow and I'll have a Bliss project of my VERY OWN to show you! If you don't want to miss a single one of my blog posts, be sure to follow me! I know, I know...last minute again! With just a couple hours to spare I decided to participate in the Pals Paper Arts Colour Challenge. It was a doozy, let me tell you. Riding Hood Red, Rich Razzleberry and Certainly Celery - HUH? I started with a Certainly Celery base and then used some of the new First Edition DSP from the Occasions Mini. I LOVE this stuff! You get 24 sheets in a package and it's ALL double-sided! Now, normally with this colour combination, I would use Whisper White. However, because of the Very Vanilla in the First Edition DSP, I went with Vanilla for my main image panel. Because I was using Very Vanilla instead of Whisper White, I did a LOT of sponging. I find that sometimes Very Vanilla goes with certain colours and Whisper White goes with others. 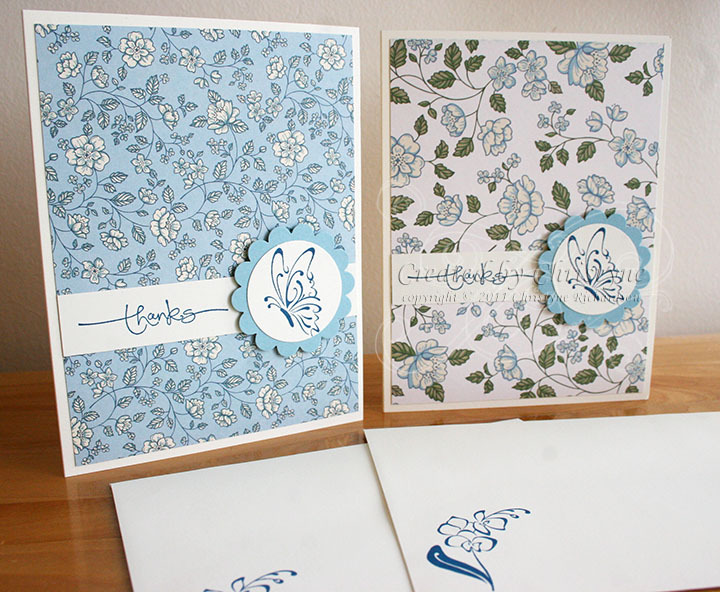 I sponged around the Very Vanilla Cardstock with Certainly Celery Ink and did the same around the First Edition DSP. I stamped another image from the Thanks for Caring set in Rich Razzleberry. 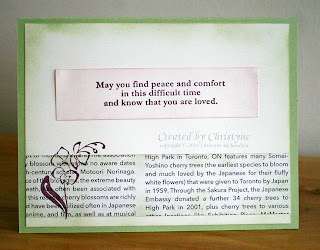 I used the sentiment from the same set and OF COURSE stamped it crooked, so had to improvise just a little - LOL! Turns out I like vintage - A LOT! 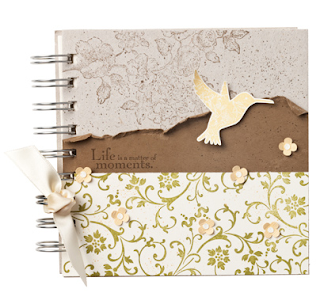 So, when I saw this altered art journal on the Stampin' UP! site, I knew I had to make one for myself! I haven't ordered the journal yet, but you can be sure that it'll be on my next order! I just LOVE the way this journal has been decorated! Do you know how to get the paper all the way to the EDGE through the rings? Easy peasy! Just order the Spiral Punch along with all the supplies and you'll be good to go! Want to see what I do with my journal when I get it? Sign up for my newsletter and I'll share it with you in my next semi-monthly newsletter. 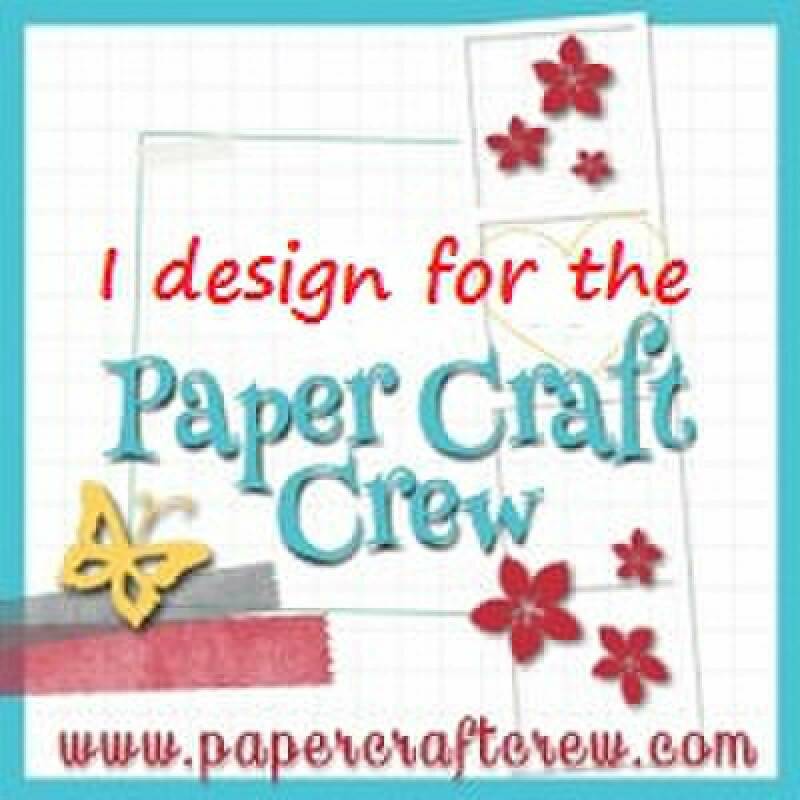 You can also shop for all the products you need to create your OWN altered art journal by clicking on the scalloped circle just above my newsletter sign up box. It's time for another SUDSOL BLOG HOP! If you've come to my blog from Cynthia Stevenson, you're in the right place! Thank you for stopping in! I became a SUDSOL member when I first joined Stampin' Up! last year and have found it an invaluable resource! The patterns library alone is worth EVERY penny! These days, you can find me hosting the Chat and Challenge twice a month, where we chat in our very own chat room and make cards based on sketches or inspiration. Need a class in a hurry? Just access the Class and Workshop Planners. Demonstrators like to share, so you'll find LOTS of information there. Need a flyer for a special event? I'll bet one of the demonstrators on SUDSOL has created one already - just check out the Advertising and Marketing section! I invite you to check out SUDSOL for a FREE 2 week trial membership! Just click here to give it a try! 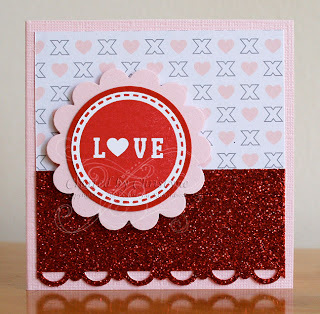 My cards for this blog hop feature what else but VALENTINES! It's that time of year after all! 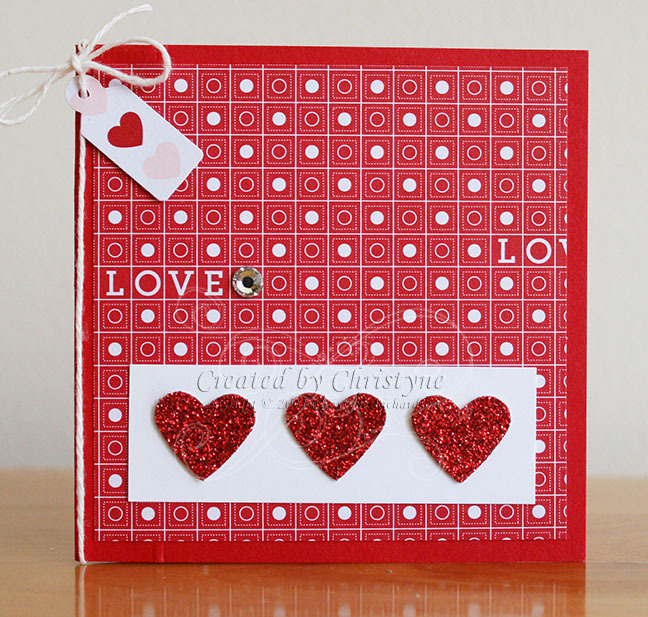 These are perfect for kids to take to school because they are "love note" size - 3" X 3". The first card uses no stamps at all, but is nonetheless SUPER cute! I cut my piece of Real Red Cardstock to 3" X 6" and folded it in half. I added a piece of Love Impressions Designer Series Paper and a piece of Whisper White Cardstock to which I adhered three little glimmer hearts. 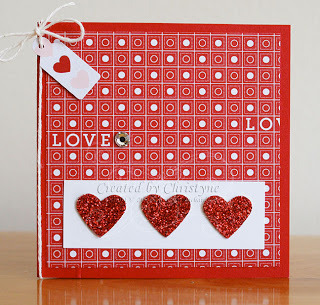 A Basic Rhinestone adds a little bit of dazzle to the DSP and I finished off the card by punching a tag from another piece of Love Impressions DSP and attaching it with a piece of white twine. My second card uses the "LOVE" stamp from the set "XOXO". 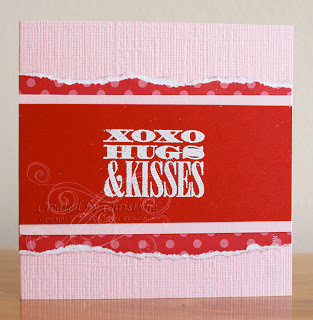 I stamped the image on Whisper White using Real Red Ink and punched it out using my 1 1/4" circle punch. It was matted on a piece of Real Red Cardstock punched with the 1 3/8" circle punch and then matted again on Pink Pirouette Scalloped Circle. I added some glimmer paper at the bottom of the card for a little bit of bling. The cards are being made by my DD and her friends and what teenage girl doesn't like a little bling? 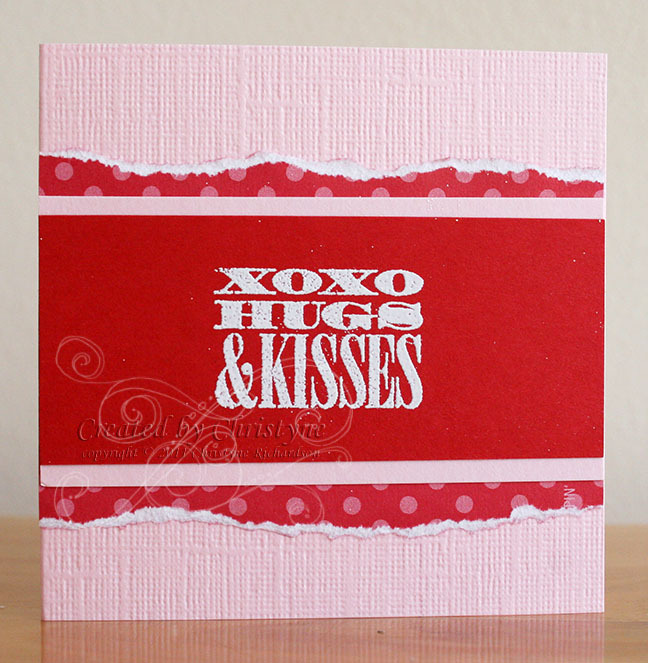 My third card uses the hugs and kisses stamp from the "XOXO" set. This time, I stamped it in Versamark Ink on Real Red Cardstock and embossed it using White Embossing Powder. My "detail" comes from some Real Red Designer Series Paper with torn edges. Recently, I was on the SUDSOL design team - what an HONOUR! 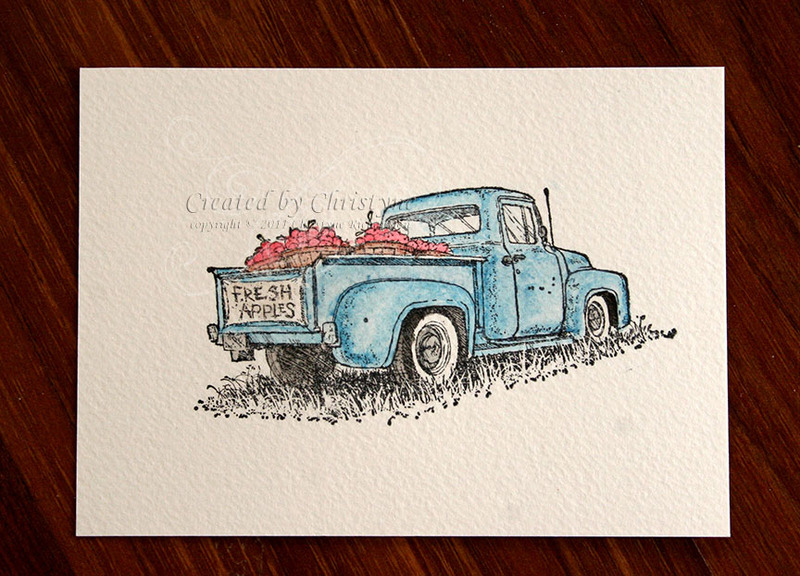 You can check out all my cards in my SUDSOL gallery here. I hope you enjoyed your visit to my blog and hope you come back soon! If you'd like to keep up to date with what's going on, sign up for my email newsletter (top left of blog) and follow my blog (over to the right). THIS POST WILL REMAIN AT THE TOP TILL FEBRUARY 1ST. PLEASE SCROLL DOWN TO SEE WHAT ELSE I'VE BEEN UP TO!!! I had so much fun doing the last blog tour that I'm doing it again!! !